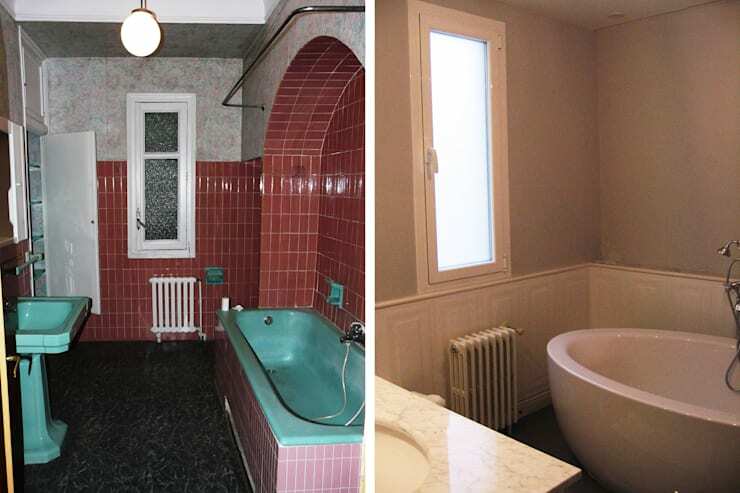 Bathroom renovations are fantastically inspiring, usually because the starting points can be so outrageously terrible! Here at homify, we see a lot of outdated spaces that fills us with dread, but we push through and drink in the shabby 'before' pictures so that we can really appreciate the transformations. Today, we are going to show you five of the most dramatic that we have come across. If you can bear vomit-inducing tiles, suites that look grubby and weird colour schemes, then we will reward you with images of truly stunning bathrooms that we know you'll be inspired by! Let's hold our breath and dive on in! 1. Before: What the heck is this? 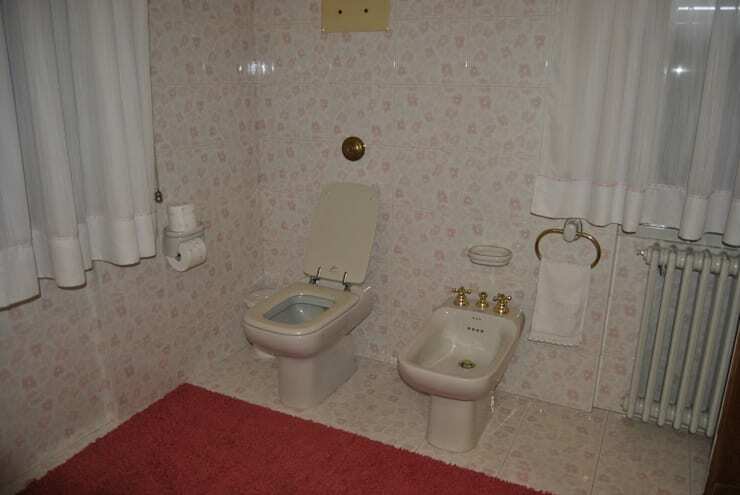 A pink toilet and sink, with a white bath, terrible tiles, AWFUL floor and a general sense of grubbiness isn't exactly doing a lot for this room, is it? This really is the bathroom that time and fashion forgot and we can't get out of here quickly enough! 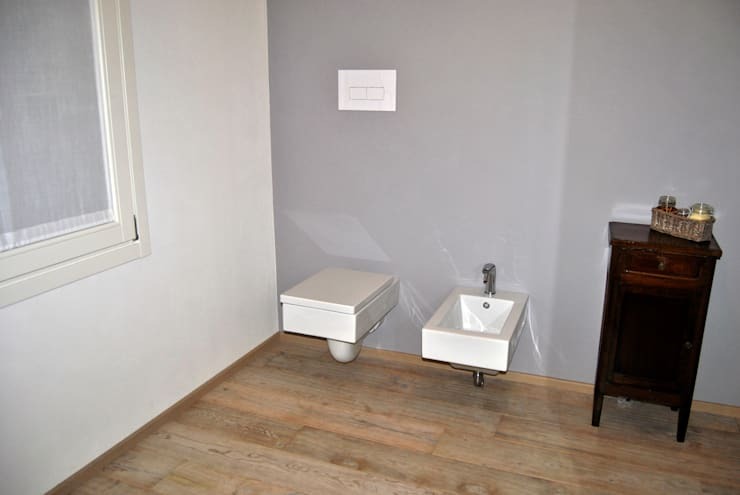 You might not think of purple as a traditional bathroom colour, but let's be honest and say that it certainly can't be any worse than what used to be in this space! 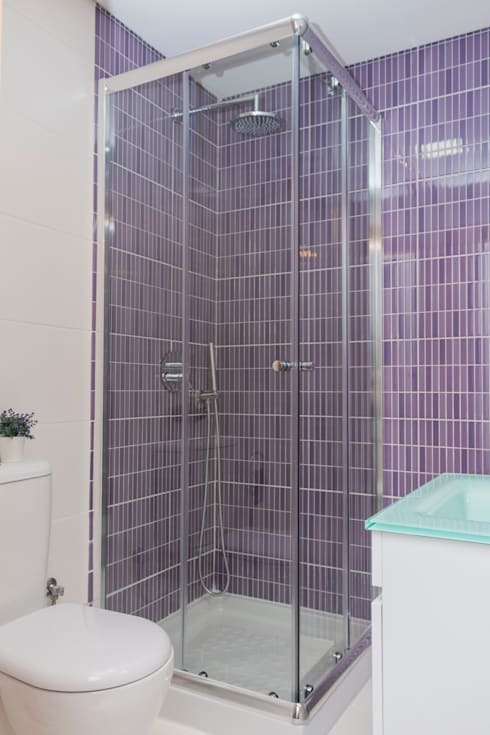 A gleaming white room has been wonderfully accented with punchy purple mosaics in the shower cubicle and we can't get over how much bigger this room feels without all those terrible tiles! Vista del baño principal antes y después de la reforma. Before: Are there really any words to describe the look and feel of this bathroom before it was upgraded? How about gaudy? Awful? Utterly disastrous? Turquoise suite items, red tiles and a dark, dank feel are just horrific! After: Wow! What a difference simple colours and finishes can make! We love the wooden wall panelling that adds a touch of heritage class and distinction, not to mention that contemporary freestanding tub! Before: bathroom clutter drives us mad, but we all seem to collate it! 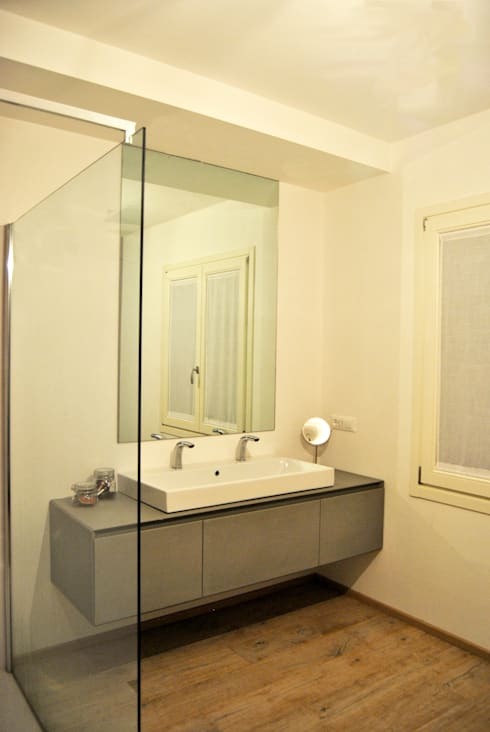 Vanity units are never enormous, so filling the countertop with toiletries and all manner of personal belongings really isn't productive and in a small bathroom, it creates a busy, overloaded look! After: The answer to cumulative clutter is to significantly up your storage game and that's exactly that was happened here! natural wood has made extra storage cabinets look stylish and beautiful and that new sink is just contemporary perfection! Wow! There's a lot going on here, isn't there? Built-in storage that is finished in the same busy pattern as the walls, ornate gold hardware and a matching floor are all just WAY too much! Our eyes actually can't focus on anything! Now this is a far more organised and beautiful space! Simple and clean white walls make the room instantly appear far larger and add in a simple floating vanity unit and suddenly, you have a totally different room! natural wood flooring makes for a cosy and warm space, while the lack of bath in favour of a shower really adds a contemporary edge. 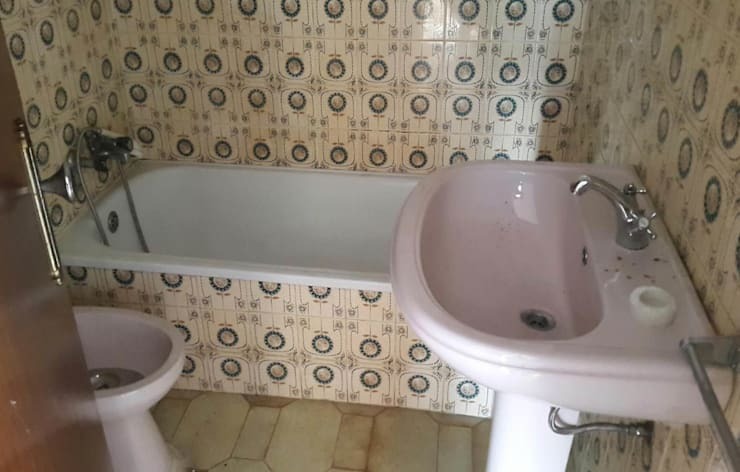 This bathroom was so awful that we wanted to show you even more of it! You can really see what a nightmare it was here! 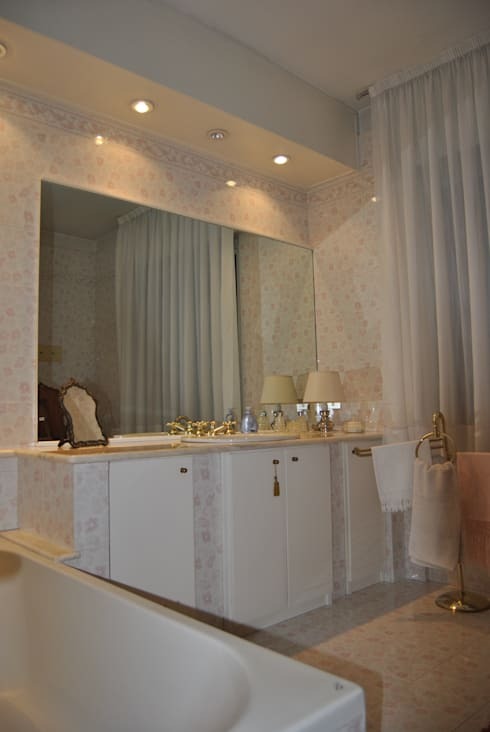 The toilet and bidet look like they've been leftover from a time long since passed and good grief, that floral design is so overbearing that we can't understand why it was used on every surface! And red rug? What the hack is going on here? After: Pared back and beautiful. What a dream this bathroom has become! Muted, cool colours, effortlessly elegant suite items and simple, organic materials have all come together to create a truly spectacular space that is as gorgeous as it is minimal. This must have felt like such a breath of fresh air after that awful patterned creation! 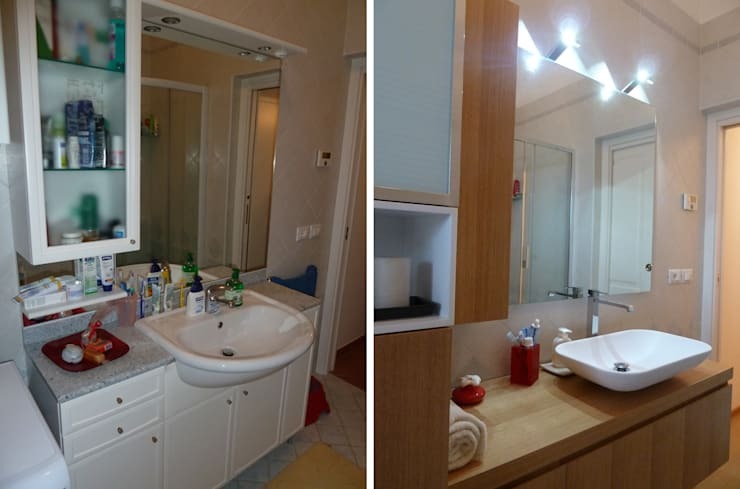 For even more bathroom inspiration, take a look at this Ideabook: 4 incredible small bathroom transformations. Which of these transformations has inspired you the most?